TCS Walk-in Drive for freshers in Chennai On 8th and 9th July 2014. 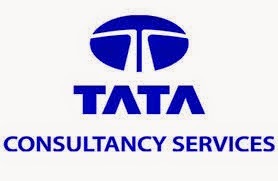 TCS Recruitment drive for freshers as Non-Voice Process position. TCS job Openings in Chennai. B.Com, BBA, BBM, M.Com freshers and Experienced candidates are eligible to attend for this drive. Interested and eligible candidates can directly walk-in to below mentioned address. Qualification: Only Commerce Graduates-(B.Com / B.B.A /BBM /M.Com) (0.9months to 3yrs) of any Banking domain experience can walk in. Not more than 2 years of gap in Graduation or Employment. Candidates who have attended the selection process in the last 6 months will not be eligible to apply again. ONLY Commerce graduates can apply. Note: It is mandatory to mention (Priya. K- HR) Name on top of the resume while coming for the interview.